I had the pleasure of continuing my series on Envato about developing maintainable WordPress projects. 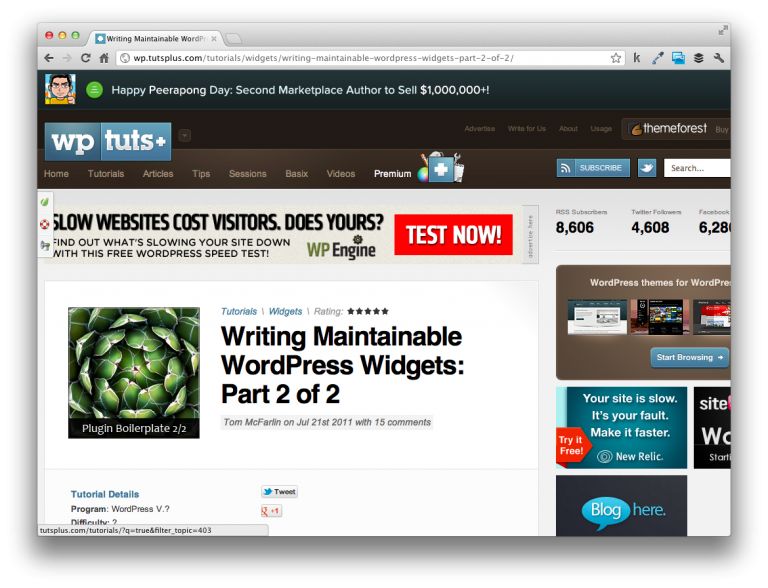 In this article, I discuss writing maintainable WordPress plugins. Be sure to check it out! If you’re interested in WordPress plugin development, be sure to check out my WordPress Plugin Boilerplate.